Kashif Ali was born on in Karachi, Pakistan, and got his early education in Karachi. In the year 2000, he joined University of Karachi for his Bachelors degree (B.Sc.) in Physiology, with Biochemistry and Microbiology. In 2002, he started his Masters (M.Sc.) in Biotechnology. During M.Sc., he worked on one year project based on tissue culture and molecular studies on ornamental plants, involving micropropagation of Crotons, Ixora, Anthurium, etc. and PCR-based molecular techniques like RAPD along sing with SDS-PAGE. In 2006, he started working as Junior Research Fellow at H.E.J. Research Institute of Chemistry where, apart from working on the in vitro propagation of different ornamental and fruit plants, he focused on the enhanced production of valuable plant secondary metabolites from the family Euphorbiaceae using cell suspension cultures in combination with chemical elicitors. During his tenure as a Junior Research Fellow, he published four research articles related to micropropagation protocol optimization of ornamental plants. In 2007, he got the Overseas Scholarship offered by Higher Education Commission of Pakistan for the Ph.D. studies at the Natural Product Laboratory, Leiden University, The Netherlands. He joined the group of Prof. Robert Verpoorte, one of the pioneers in NMR-based metabolomics and started his Ph.D. research. He worked on a project named Genomic Research-Assisted breeding for Sustainable Production of quality GRAPEs and WINE (GRASP GRAPE WINE, http://urgi.versailles.inra.fr/index.php/urgi/Projects/GRASP) involving NMR-based metabolomics of grapes and wine. 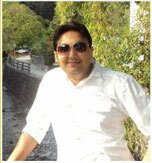 In September 2011, he finished his PhD and went to Qiagen (Germany) on Marie Curie Secondment (FP7 program). His work over there was on metabolomics standardization. He studied the effects of different physical conditions on different primary metabolites, mainly amino acids, using human plasma. Later he joined Leiden University as a Postdoc where his work was on marine metabolomics, in collaboration with a Korean group. Several marine sponges were tested for Adenosine-A1 receptor binding activity and the data were correlated with the corresponding metabolomics data of the same sponge sample using different multivariate data analysis algorithms. Several active compounds were identified and the results were confirmed by testing the reference compounds of the identified metabolites. He joined University of Florida for his third Postdoc as a Postdoctoral Associate to work on Vitamin B6 Metabolism in Maize. His work there was mainly on establishing a protocol for the HPLC-based analysis of these primary metabolites in different maize varieties. Since January, 2013, he joined SZABIST-Karachi as an Assistant Professor at Biosciences Department. Apart from his teaching assignments, he will be conducting research related to metabolic profiling of the various ornamental, fruit, and medicinal plants using NMR and other analytical platforms.